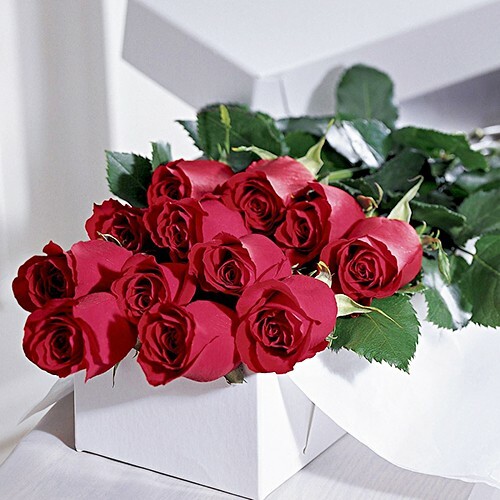 Your special someone deserves to be treated like royalty and this splendid display of 12 vibrant roses in an elegant white box and beautifully finished with red ribbon, will play the part. As anyone who has been in love knows, a dozen roses are the basic of any love story. Special Delivery Conditions Can be delivered all across Lebanon except Beqaa and the North.